If you’re feeling a disturbance in the Force, it’s because there’s about to be thousands of voices crying out — in celebration. 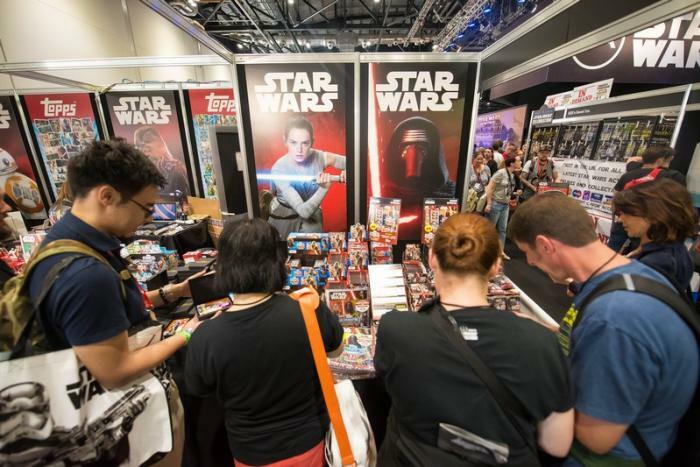 Star Wars Celebration will bring fans from across the globe to Chicago’s McCormick Place from April 11 – 15. Over five days, the event will feature star speakers, special behind-the-scenes info, cast and crew members available for photos and autographs, and a virtual galaxy of activities. The Celebration has also historically been the place to see first-look trailers for new movies (as well as a few surprise appearances from big Star Wars icons). 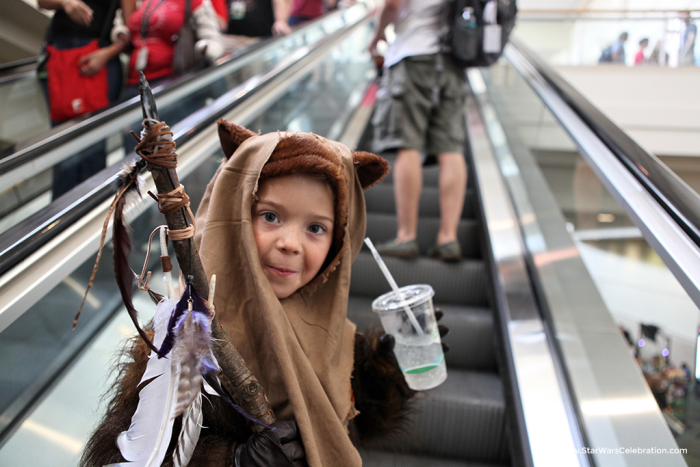 Read on to find out all the opportunities to explore a galaxy far, far away — right here in Chicago. THERE’S TOO MANY OF THEM! The first thing everyone wants to know is — what stars will be there? There’s no shortage of mega-famous actors in attendance this year, with Billy Dee Williams (Lando), Ian McDiarmid (The Emperor), Peter Mayhew (Chewbacca), Ray Park (Darth Maul), Riz Ahmed (Bodhi Rook) and Forest Whitaker (Saw Gerrera) representing some of the biggest stars from the film series. Even if you’re not a big enough Star Wars fan to know them from their roles in animated works and Star Wars Stories, but Erin Kellyman (Enfys Nest) Alan Tudyk (K-2SO), Paul Bettany (Dryden Vos), and Freddie Prinze Jr. (Kanan Jarrus) should still turn some heads. But the name you should be most intrigued to see is one Ahmed Best — better known as the man who brought Jar Jar Binks to life. While he appeared at the very first Celebration just before the release of The Phantom Menace, Best’s character was viciously maligned by critics and fans alike. Unfortunately, this leaked over into attacks on Best himself, leaving the actor depressed and nearly suicidal. Now some 20 years later, getting a glimpse at his perseverance through that chapter of life is worth hearing for any fan. While Celebration has called many cities home, don’t expect the Chicago edition to be a carbonite copy of previous events. The Second City is plotting their best Wookie puns for their appearance at the festival, providing some Star-Wars-inspired improvised laughs. 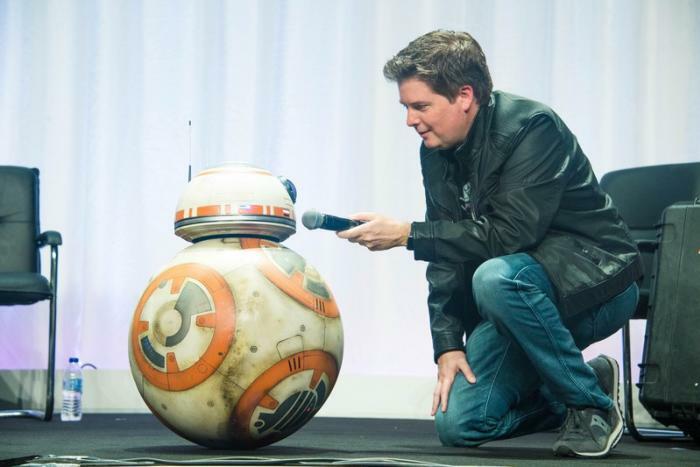 And if that’s not enough, the legendary troupe will also be hosting Star-Wars-themed performances outside the festival all weekend at the Second City theater itself (because hey, you have to leave McCormick Place at some point). One of the more unique offerings available to fans during the convention is the Tattoo Pavilion. Dozens of tattoo artists from around the world will be in attendance to ply their craft - or maybe draw spacecraft on you. Don’t just get a Rebel Alliance logo, have one of these talented artists make it into a sweet sailor’s anchor! Why settle for Hello Kitty when you can convince someone to put Hello Kitty in a Stormtrooper outfit? The possibilities are endless. If you’d prefer a less permanent memento, a few dozen artists will be on site offering a range of beautiful, funny, or otherwise fantastic pieces of Star Wars-inspired art. And of course, major collectibles will be on display for those wanting to ooh and ah over vintage Kenner action figures or other rare finds. One of the more immersive aspects of the Celebration are the fan props and sets. With set designers, auto garages, and prop makers of the world all contributing, the end result is a bevy of backdrops and vehicles that will make you feel like you’re in the movie — and will certainly photograph that way as well. Guests can sit in the Solo-era Millenium Falcon, recreate the famous duel inside the Death Star’s octagonal doors, or even hop on an Endor speeder bike (excited Ewok noises optional). As amazing as it is to see the famous actors, amazing props, and rare memorabilia, the best part of the convention is getting to meet the wild, weird, and wonderful fan community. There will be regional clubs represented, like The Lone Star State Vintage Collectors Club, and hyper-specific groups like “All Things R2”. You can even learn about making your gaming make a difference from members of the non-profit Twin Suns Foundation. 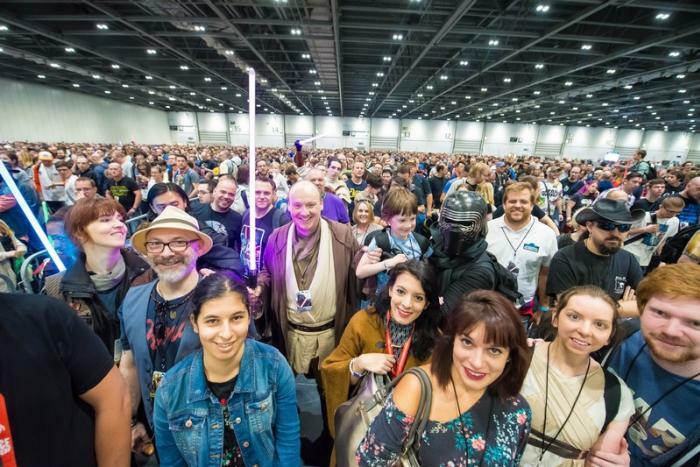 No matter where you’re from or what part of the Star Wars universe you’re interested in, this is your chance to meet fellow fanatics in full force. 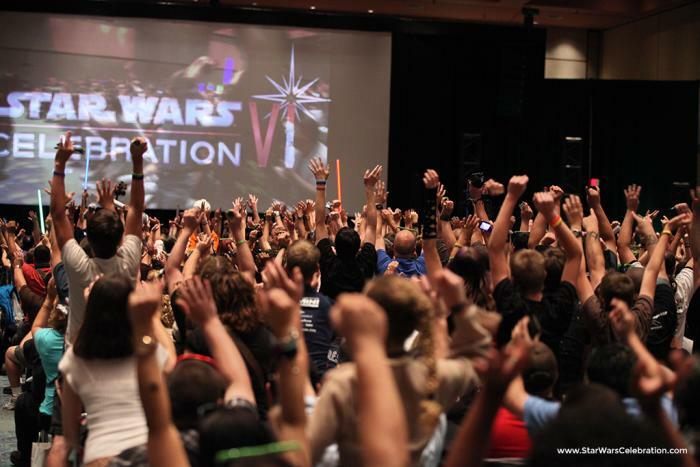 Star Wars Celebration tickets are still available for Monday, April 15. Or look for available tickets on verified resale sites.